The NFL and the Player’s Union have four days to come to a new agreement or else the uncapped year will become a reality. For a while now, we have been assuming the uncapped year is inevitable, and until there is reason to believe otherwise we will continue to do so. Much has been made of the Vikings being handcuffed as a “final four” team in terms of what they can do in free agency. One thing that helps to ease that burden has recently come to our attention. 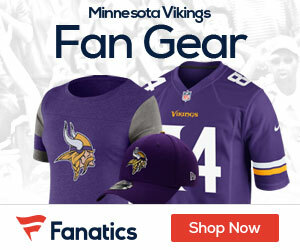 A player who is set to be a Restricted Free agent but is not tendered by their current team is not technically regarded as an unrestricted free agent, and the Vikings can pursue those players without any further limitations. For example, the Chargers are not expected to tender running back Darren Sproles and he will hit the free agent market. However, him being restricted this year makes him fair game for all 32 NFL teams, regardless of their record in 2009. It is a possibility that I have long thought Darren Sproles would be the best complimentary back to Adrian Peterson that money could buy… which is why I used him as an example. If a deal doesn’t get done with CT the Vike should be interested in Thomas Jones. EVEN IF THEY’RE NOT the release of Jones gives Vike an opportunity to start a discussion. ‘Hey, Brett. Childo Here. Say, care to share your thoughts about Jones? I would much rather have Sproles than Jones. And I’m sure Favre would as well. Does the team set up a new contract for the 7.3 million and then figure it into a 4-5 year deal??? Are you kiddin’ me? Darren Sproles would be the absolute shizzle!! But like Purple Charlie says…you gotta figure out how to finagel that much dough. Hey Purple, Yeah Adam is a Big Sproles fan, He will be hoping it happens.